Born in Iowa to a close family, one big brother. Rough and tumble boys, Clint always found himself on the receiving end of most of the aggression simply because he was the younger of the pair. The tenent 'only I can pick on my younger brother' was never really enforced, and one day, Clint was jumped by a group of boys, and Barney did little to help. Soon enough, Clint would be no stranger to hospital rooms, but this was the first. His mother stayed with him, and when it was determined that perhaps the young Barton may not regain his hearing, the push came from both his mother AND the school to teach him. It was soon after that the boys would be orphaned at the age of nine when the Barton brothers would lose their parents in a car accident. Not letting on that he knew sign language and could read lips, he kept the secrets of the families they'd been shunted to, from drinking to excess and abuse to… worse. The best part of being foster parents, apparently, is the check that comes in from the state. Nor did he want anyone to know that he was slowly regaining his hearing during those six years spent in an orphanage with his brother. After not being able to stand it any longer, both he and his brother ran away to join a carnival. After all, what kid -doesn't- dream of running away to the circus at one point? Every kid has a strength, and Clint's was found that he had a good eye for throwing things. Rocks, balls… and it wasn't long before a bow was put into the teenager's hand. From that moment on, it was a pairing made from heaven. He did so well that he caught the attention of a second man who was quite accomplished with a sword. So, he quickly became the favourite of the pair, which made his older brother just a little jealous. The two were themselves 'partners in crime', as it were, figuratively, as well as literally as he was to discover soon enough, with Barney wanting to become the favourite, and managed to keep the real details of exactly what was going on from the younger Clint. Having found not one but two mentors to help teach him and hone his skills, he came into conflict soon after with both his brother -and- his teachers. Clint discovered the truth of the matter. He stumbled into the tent where the three were counting the money they'd just skimmed, and he was offered a cut and a partnership with his sword tutor. He refused, completely and utterly, which caused no little problem with both his teachers AND his older brother. A lengthy and heated battle came from it, and ended when Clint fell from the highwire and landed on the ground, sans net. The three left him for dead and departed before anyone was the wiser. When he eventually came to, it was from a hospital room. This marked his departure from the carnival. From there, he bounced from mark to mark, circus to circus, ending up in Coney Island. New York City! There, there he made his home. 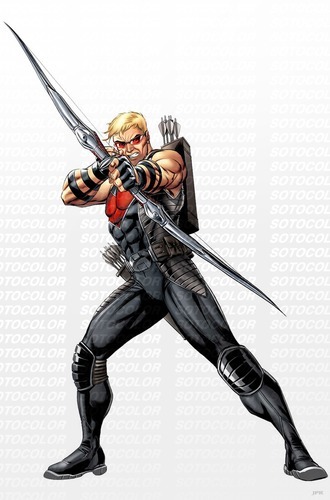 Once in New York City, opportunities abounded, and his archery skills were honed to virtual perfection. Barton was hit by the 'do good' bug once he actually witnessed a not so random act of kindness by a rather famous hero of the time. A life of vigilantism was begun, or so he thought. Like most vigilantes that really don't check with a city and state's laws regarding them, he didn't quite catch the eye of bad guys but rather the eye of law enforcement that frowned down on his style of 'law and order' on the -first day- out. Just his luck. Of course, this led to his meeting up with the less than savory crowd in order to navigate the waters. When one is in trouble and hunted, that is when one truly begins to wonder who their friends are. In this case, being naive and in need of a friend made him susceptable to the whispers of those less than savoury types. One in particular began to lead him down the primrose path, and he soon found that the one hero that he'd wanted to be like would become the target of a virtual assassination. He had managed to catch himself before any real damage had been done, however… and instead, discovered others that could help him find his way from the darkness. 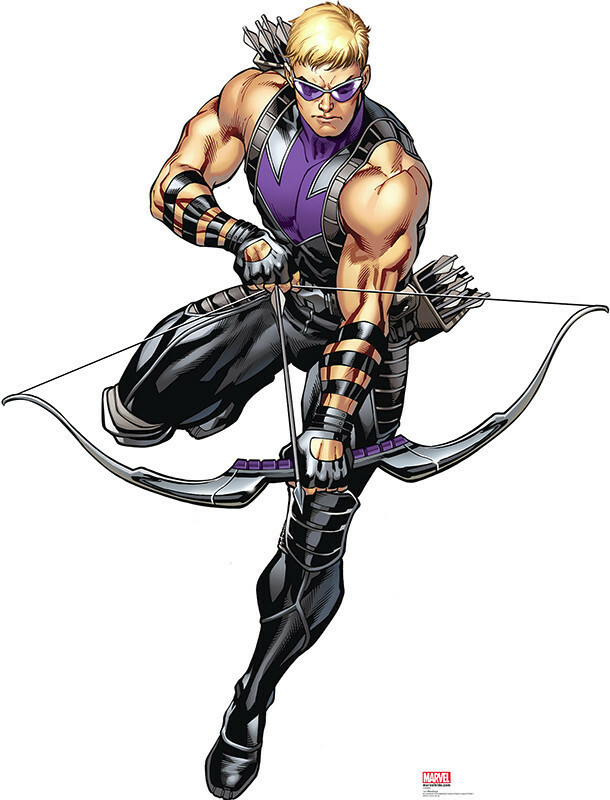 Friendships were built, some left by the wayside, and eventually finding his way through to the other side, Clint Barton managed to 'make good'. Along the way, it wasn't easy. That one person that had started him off in this crazy existance had left; she was beyond his grasp, but that didn't stop him from wanting to see her again, to show her that things could be better for her. It was in his adventuring mode, now a little less vigilante and more 'hero' that he truly began to appreciate what it was he was doing. That whole 'saving the world one step at a time'? It was then, again, that Clint saw the inside of a hospital ward, bandages over his ears. Hero work wasn't for the weak, and while he was rubbing elbows with those less 'human' than he, it didn't rub off. He took risks, and one of them simply didn't pay off. Being nose to nose with a flash/bang (not quite literally, but close enough) meant that while he was able to shield those blues, the pressure going off gave his hearing problems. It wasn't long, but it was long enough and concerning enough that he retook-up ASL and absolutely refused to speak. Nothing was ever easy, and once his hearing was regained after time, Clint struck off on his own once again. Nothing like pride and ego getting in the way! It was then, severed as he was by those whom he thought were his friends that SHIELD approached him with an offer that would be hard to resist. Put those hero skills to work and get paid a regular stipend. All he had to do was sign on the dotted line. After all, he was inarguably -one- of the best archers in the world, and he showed such ability and perserverence. In return for his work was a pardon of past sins committed. Clean slate. Wasn't easy, and still isn't. Being 'forgiven' isn't always a sure thing, and it's a delicate path to walk. Through the years, in SHIELD, Clint has been trained for everything he's ever had to face. His combat skills have been improved upon and honed for his particular abilities. He's been watched and recommended for field assignments that meant that he had to be brought 'up to speed' in order to carry them out, thus- flying lessons, upping his security clearance in order to read corresponding documents for ops. Through it all, however, Clint's need for privacy and 'being alone' meant that he kept an apartment far from their prying eyes (for the most part) in a particularly rough section of town in Brooklyn. It was compartively recently when he ran into trouble of the personal kind. Track-suited Russian mobsters, to be exact. Disagreements and fights. While Clint is 'good', he's not always the best in situations. 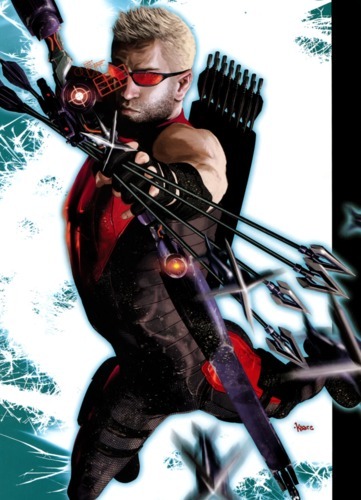 The tracksuited mafia hired someone who was even better at assassination, and while Barton was able to keep from being killed, he wasn't able to stop the hitman from shoving two arrows into his ears, deep enough to cause damage and deafen him for the third time. This was enough to send him into a spiral of depression from which he's only now beginning to emerge from. Retirement isn't on the table, nor will it be in the near future. There is still too much to be done, too much to be cleaned up… too many wrongs that have to be addressed in the world. And he's just the man to do it in his mind. 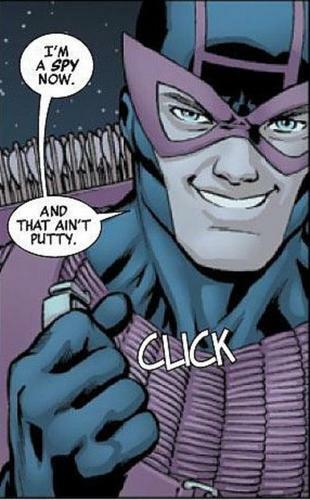 Hawkeye -knows- he's good. He's taken punches, he's taken on fights that by all rights he should have lost, and has come out on the other side. He's more than aware that if a hint of doubt ever creeps in, mistakes can be made and lives can be lost. Just like a good dog. Once he makes a friendship, there is little that he wouldn't do for that person, and on extension, an organization. Should those two things conflict, he has a need to find out -why-, which could set him in the middle of things. He is both ready to kill and ready to die should it be called for (though he'd rather not die!). 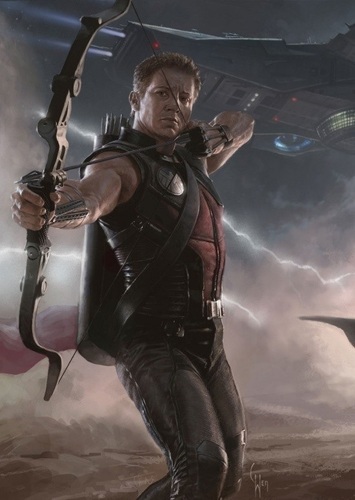 If something passes Hawkeye's notice and he feels that it needs to be followed, he's on it. He's an opportunist, full in the knowledge that in his line of work, time truly is of the essence. As a result, sometimes he ferrets out more than anticipated, and is able to draw more lines to fully draw a picture. He believes in being the best and only the best will do. 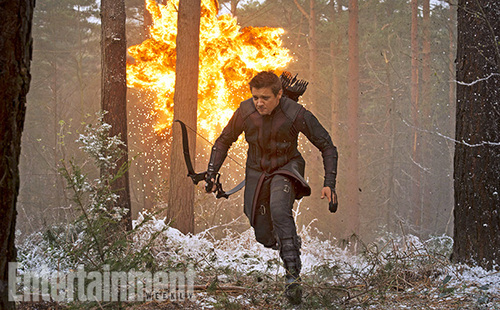 In his line of work, Hawkeye can't afford to be 'halfway there', or, as a normal human in a world with supers, 'bad things' could happen. This brings something of an intensity to his work that may not be present in his personal life. This, of course, feeds into his confidence. 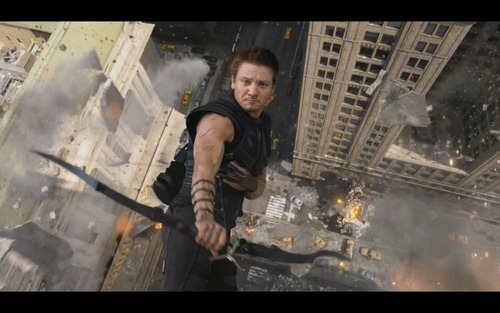 Hawkeye's particular skill set pretty much leads to being alone on a perch, waiting for that perfect shot. (Or multiple perfect shots.) As a result, he's grown used to being alone and seems to truly enjoy it. With few -true- friends, it's easy to pull back and find some time alone. This doesn't mean that he won't reach out when he does need help (usually), but he does ike to try things on his own before he brings anyone into the mix. 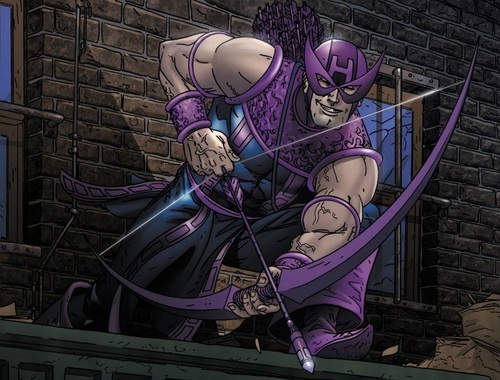 When Hawkeye starts something, he is 'all in', that borders on the obsessive and can be to the detriment of his personal or professional life. He lives and breathes the 'mission', whatever that may be. Ready to move or to act on a moment's notice, he doesn't give much thought to that which he leaves behind. This has cost him a great deal- including any hope of normalcy or a 'real life'. Coffee! No, really. Coffee. Okay, he wants to see 'right' win. He -believes- in 'right'. Even when he was wrong, he believed he was 'right'. This all stems from the feeling of 'wrongness' in the loss of his parents, and the complete 'unfairness' of it all. And the disloyalty discovered when he found that his mentor was stealing from the Carnival that had taken him in, put a tent over his head, food on the table and paid him? Of course he'd be upset; but rather than stay on, that particular experience, both finding himself at odds with both his brother AND his mentor, made him simply want to leave and not look back. 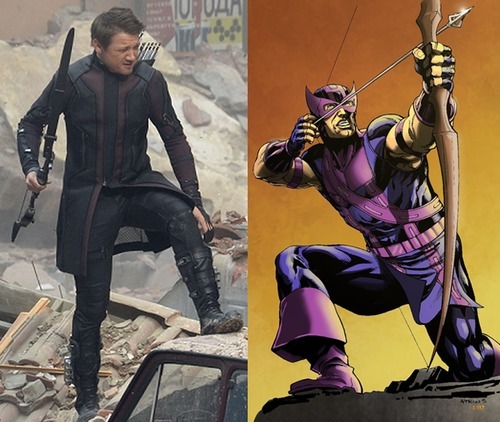 Hawkeye eventually would like to be able to retire and live an actual 'real life'. Everything thus far in his life has conspired against him in that order, and the chances are good that he'll never attain that unless he simply turns around and walks away. And that, he'll never do. He can't do it. OOCly, I'd love to have him make some solid friendships and build on that foundation of teamwork. He is a loner, yes, and works best in a solitary postion, but this can (and does) work well in terms of 'air support'.